After the Healthy Diversity Critical Incident workshops with health professionals held by the partner organisations in earlier stages of the project, the Austrian project team conducted an additional Critical Incident workshop in November 2016 with teachers working in Adult and Higher Education. In an ongoing effort of strengthening educators’ transcultural competences, a group of 13 teachers was introduced to Margalit Cohen-Emerique’s Critical Incident methodology. 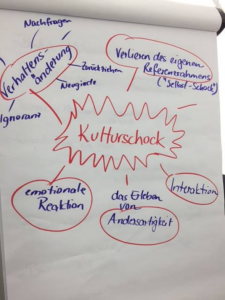 After a general introduction to concepts of culture, culture shock and sensitive zones, the teachers practiced decentration of their own cultural values in an exercise with images. Images portraying culturally variable practices surrounding the body were put up in the room (i.e. concerning healing rituals, sexual practices, diet and nutrition) and participants were asked to select the one picture that prompted the strongest emotional reaction (positive or negative). After trying to describe the pictures objectively and then the emotions caused by the images, the teachers discussed in small groups to which deeply held values they reacted to. By scrutinizing and talking about the values that were touched by the scenes, participants not only interrogated their own value systems, but also exercised a change of perspective. Lastly, participants individually wrote down a Critical Incident they experienced in the course of teaching and one of them was analyzed in plenary. In the analysis the group paid attention to the reconstruction of the values of both the narrator and the persons causing the shock experience, eventually trying to come up with a more nuanced reading of the interaction that took place, negotiating the different perspectives and pondering possible solutions. Due to the success and positive feedback, two more Critical Incident workshops were offered at the University of Vienna in May 2017, one with healthcare professionals and one with social workers working with refugees. 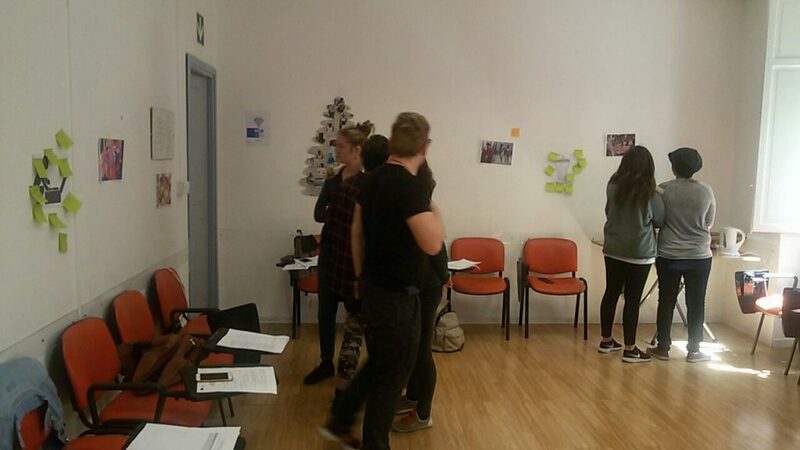 Similarly, in March, a decentration workshop was also carried out in Palermo with a group of ten EVS volunteers hosted by the Italian partner organization and working in structures for people with special needs as to mental health or physical disabilities. Participants taking part in a decentration workshop generally define it as an inspiring and powerful experience that directly affects and could be even proposed in their daily work, thus confirming the cross-sectorial relevance and applicability of the Critical Incidents methodology.